With this high-performance lacquer you'll achieve a special, rough texture in miscellaneous colour shades. 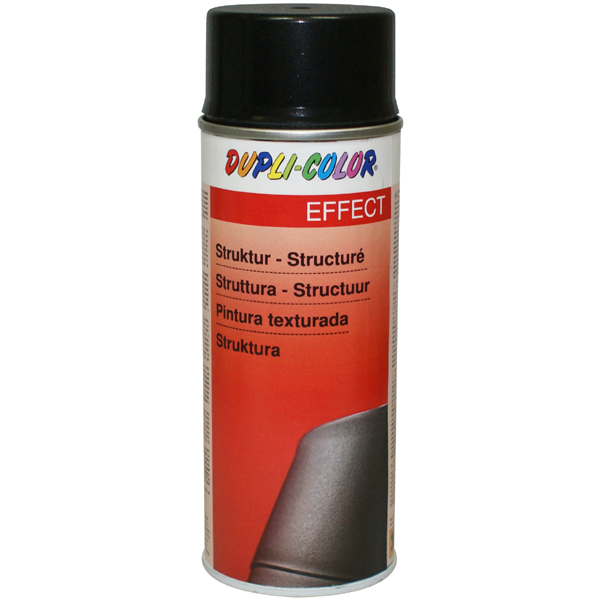 DUPLI-COLOR Structure Effect is suitable for customising all kinds of car parts and for the repair and restructuring of repaired resp. filled plastic parts. 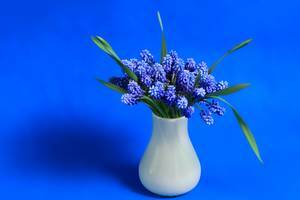 If desired, it is possible to coat afterwards with any DUPLI-COLOR Acrylic Spray, for example DUPLI-COLOR Auto-Color or RAL-Acrylic. For home decoration and handicrafts on metal, wood, glass, stone, ceramics, cardboards and many coatable hard plastics. Clean underground from dirt and fat. 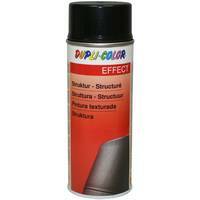 On plastic parts always use DUPLI-COLOR Plastic Primer; on other surfaces use DUPLI-COLOR Primer or Universal Primer. Fill and sand uneven surfaces. Before that, generously mask off the repair spot. Larger surfaces should be masked off at creases and edges of the car body, too. Test spray to check colour-matching and compatibility. Spray from a distance of approx. 25 cm several thin coats in 3 -5 minute intervals. Earliest after 3 hours drying time it is possible to apply any DUPLI-COLOR top coat. 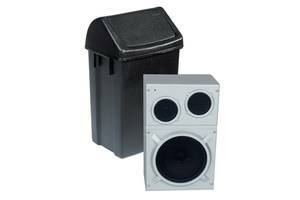 Depending on thicknes of the applied coat, the intensity of the achieved structure can degrease.